If the main usage of your baby stroller is going to be jogging with baby, look no further. The Graco Relay Click Connect Stroller will definitely tick all your boxes. It has everything essential built-in so that you do not have to purchase any additional accessories. 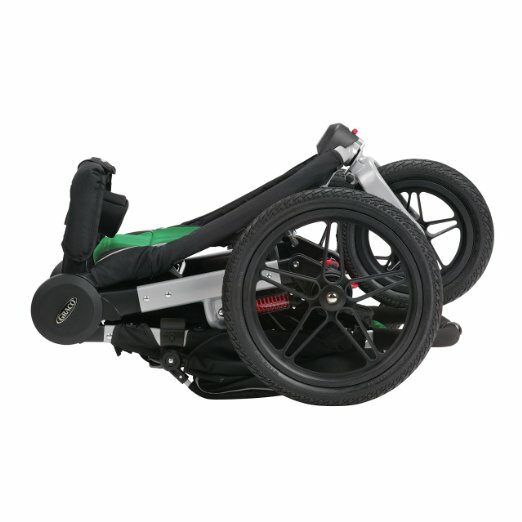 Heavy duty due to its pneumatic tires with a locking front-swivel wheel with tracking, you can handle all your jogs on any terrain with your baby while keeping him/her comfortable with the premium suspension system that is built in the Graco Relay Click Connect. 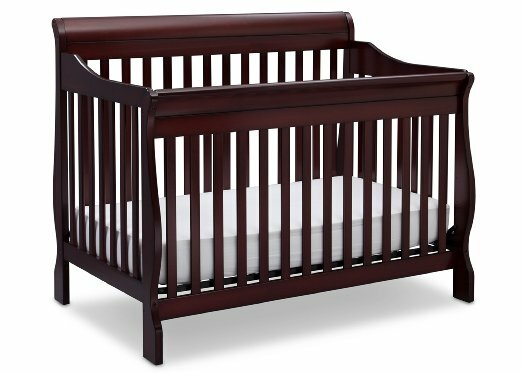 The price of this stroller is justifiable through the years of use that you will get from it as its weight capacity support up to 70 pounds (child + essential). 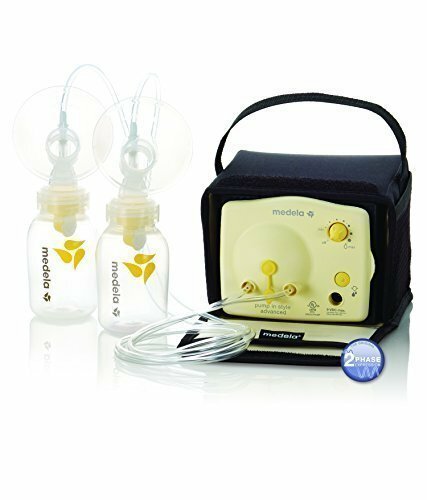 You can be ensured that it will keep up to your child’s growth for several years. 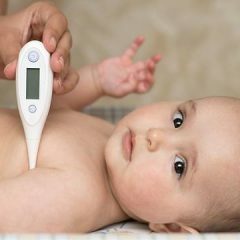 Due to the heavy-duty use that it may get, the Graco Relay Click Connect is designed to provide ultimate comfort and safety for your child despite all the bumping and moving around it may get. Reflective, tech-fabric helps keep you visible in low light and the UV50 canopy gives your child sun protection. When you’re strolling – or jogging! – with your child in this infant stroller, comfort and safety are both important. 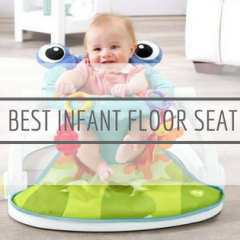 It features an adjustable, multi-position reclining seat with convertible 3 and 5 point harness and it includes a safety tether, giving you peace of mind that you’ll stay connected to baby. 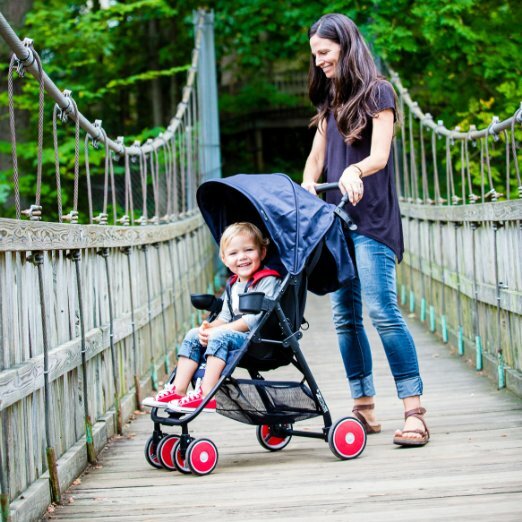 This sporty jogging stroller is packed with thoughtful upgrades and features. It has performance-grade tech fabrics are upgraded for your child's comfort and have reflective material for added visibility in low light. The Relay Click Connect Jogging Stroller accepts all Graco Click Connect infant car seats, so that you can create your own custom travel system. Just 'click' in a compatible Graco infant car seat in one secure step. It’s a built-in connection, so no additional adaptors are needed. 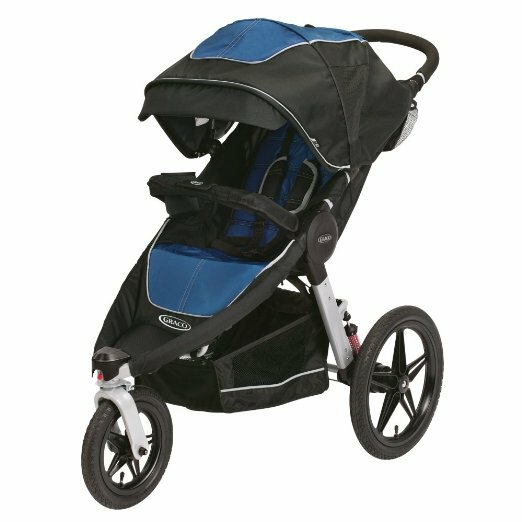 Relay Click Connect Jogging Stroller gives moms and dads tons of included comfort and convenience features. It has a deluxe parent storage console with cupholder, zippered storage and phone pocket, so that you can keep all of your essentials at your fingertips. It also features an extra-large storage basket so that you can bring your child’s 'must-haves' along too. The Relay Click Connect Stroller has a removable armrest bar, so that it’s easy to get your child in and out, whether you’re running errands or jogging around the park. 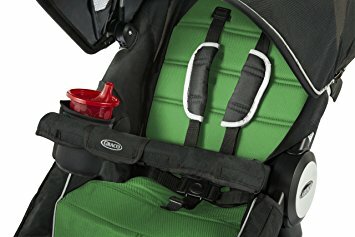 Plus, the armrest bar features a built-in cupholder so that your child can keep their favorite drink close by while strolling with you. A fast fold is essential for a stroller being truly easy to use. The Graco Relay Click Connect features a one-second, one-hand fold, which provides the ultimate in baby jogging stroller convenience for on-the-go moms (and dads). This sporty baby jogging stroller features an all-weather canopy to help protect your little strolling companion. It offers UV50 protection on outdoor rides, and even extends to reduce exposure to the elements. The Graco Relay Click Connect comes in 6 colours – red, green, blue, apple green, sand and orange (note they each have a name!) so you will have a variety to choose from. Note though, there are different price point for different colours so choose carefully if price is a factor.